Will Women ‘Lead the Way’ with Fellow Ranger Grads? In August 2015, history was made – Capt. 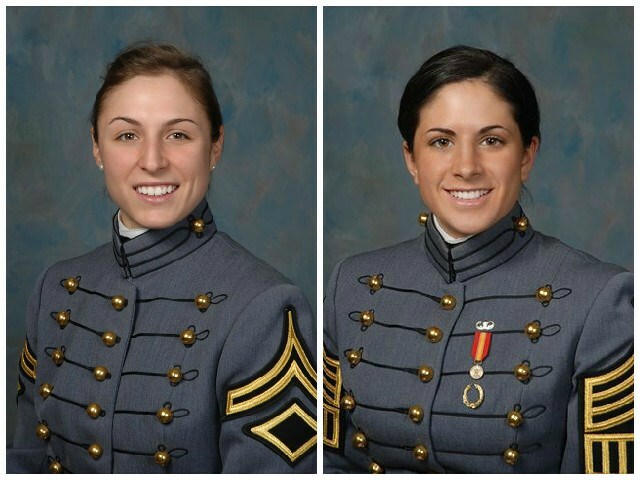 Kristen Griest and 1st Lt. Shaye Haver were the first women to graduate from Army Ranger School at Fort Benning in Georgia. My inner feminist was doing a serious happy dance when I heard the news, my mind filling with images of GI Jane dolls on store shelves and gender-equal Army career pamphlets in high schools. The change in policy was made to reflect the reality for women, particularly in the Iraq and Afghanistan wars, who have long served side-by-side with men in ground combat, according to the National Women’s Law Center. The integration of women into Ranger School is the latest in Army efforts to open direct-action combat jobs to women, positions which women were banned from in 1994. But back to the latest breakthrough – There’s no debating Griest and Haver’s tenacity and perseverance is impressive, but it’s important to know all the facts surrounding their graduation and what it means to furthering female service careers. The Ranger course is meant to be completed in 62 days. It took Griest and Haver roughly 120 days, from April 20 to the August 17 graduation. Each of the 19 women who were recruited for this experience were required to repeat portions of the course they didn’t pass, some multiple times. The women of the first coed course had a 10.5 percent graduation rate, while the men had 24.6 percent. These numbers hit hard, and without context, have the potential to derail years of progress. But it’s all perspective – The 10.5 percent grad rate means these ladies surpassed 75 percent of their male classmates. And though it took them longer to graduate, they refused to give up. Unfortunately, the Army has not actually communicated what is being evaluated, how results will be used, how data is being gathered or if the physical tests of the Ranger program are considered occupational requirements for women. This lack of explanation lends itself nicely to the “good ole’ boys” way of thinking – unless a sufficient number of women “pass muster,” the Army can recommend that women “can’t hack it” as a Ranger. Here’s a question: Why should the results of 19 women reflect on the entire female service population? Also, the school is primarily a leadership and skills course, though it’s true that men who complete Ranger School usually enter the Ranger Regiment, which is currently closed to women, but it’s also open to men who aren’t moving on to become Rangers. So, this leads to another question: Why would Ranger School be closed to women who are currently barred from joining the Rangers when men who aren’t planning to become Rangers can enroll? Only three months left to find out.